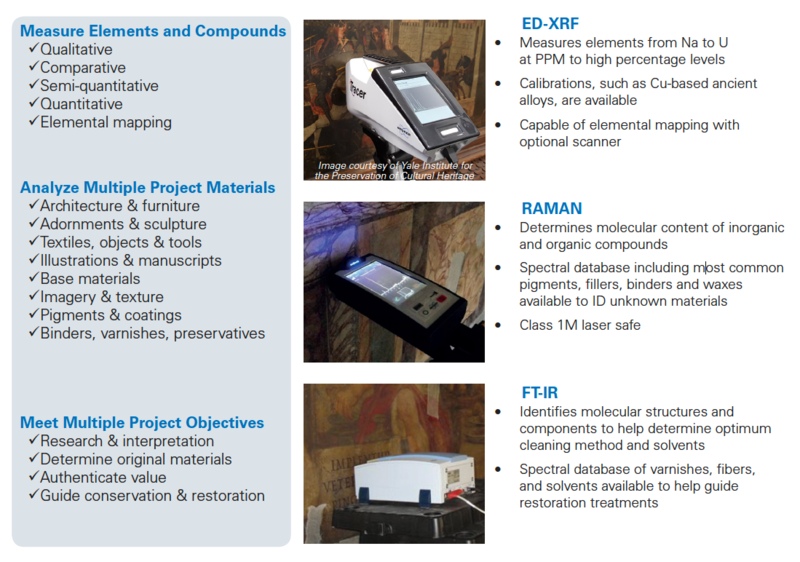 A lecture led by Dr. Shunlin Wang, Ph.D., the FTIR, FT-NIR, Raman Instrumentation and Applications Specialist at Bruker Optics on instruments used by museum and independent conservation and restoration laboratories. Bruker is the leading manufacturer and developer of non-destructive and non-contact elemental and compound analyzers. Precious artifacts and historical monuments are often affected by decay through environmental pollution, vandalism, climate change, lack of budget or just simple neglect. Conservators around the world are working day by day to save the world’s heritage for the future. Bruker’s art conservation solutions are perfectly suited to analyze artifacts, help to restore objects without destroying their original substance, and determine the composition of materials used for production. Bruker offers mobile Micro-XRF and handheld XRF solutions for non-destructive, in-situ analysis as well as innovative FT-IR and Raman solutions for optimal sample visualization and sample collection. Bruker’s instruments enable a reliable and fast analysis of ceramics, paintings, photographs, glass, obsidians, bronzes, coppers and alloys. These instruments include the following. This event is free and open to the public. Please RSVP by emailing rtschmid@callutheran.edu. This lecture was made possible by Bruker Optics, Inc. 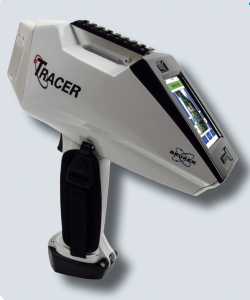 Image: TRACER 5i Handheld XRF, courtesy of Bruker Optics, Inc.